Macduff means "son of Duff", the Duff clan have given their name to several places in Speyside - eg Dufftown, Miltonduff ​(from "dubh" - dark/black). Glen Deveron - "valley of the river Deveron". Deveron maybe from "dobharan" - "small stream" (which would seem odd for such a large river) or "Dubh Èireann" - dark/black Ireland. The Glen Deveron website is a strange one - a brief description of the location of the distillery - in massive upper case; followed by a description of its 3 travel retail whiskies; and er...that's it! Macduff is not open to the public. 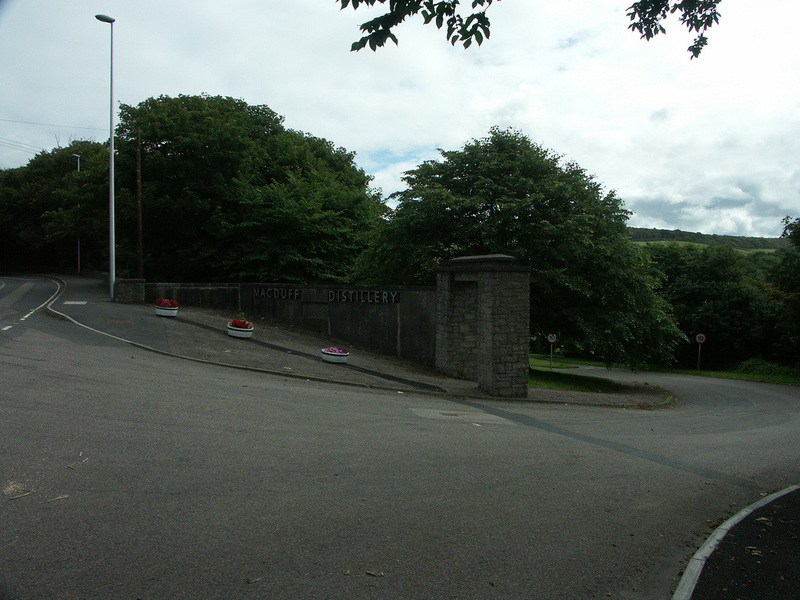 The post-war whisky boom had already lead to a few other new distilleries Macduff was built in 1960 by a corporation formed by Glasgow Brokers - Brodie Hepburn (who also had involvement in Deanston and Tullibardine), Block, Grey & Block, Marty Dyke and George Crawford called Glen Deveron Distillers Ltd. 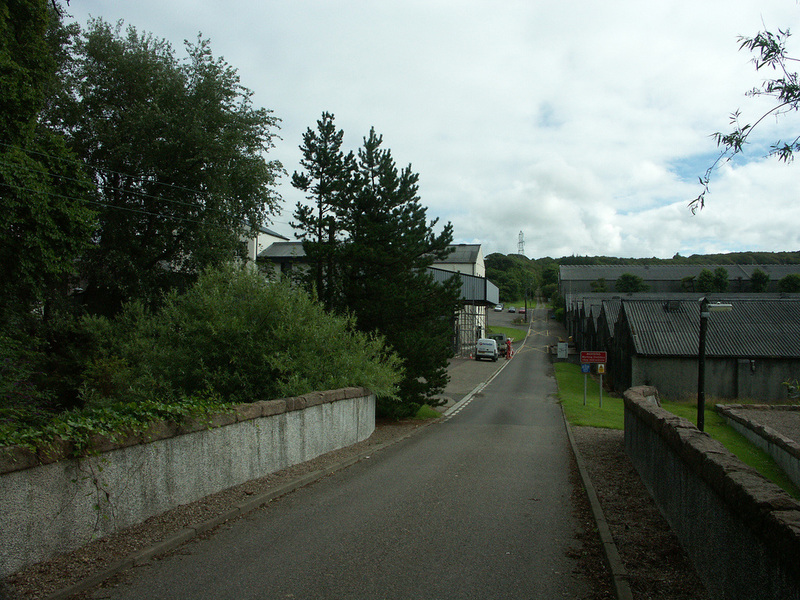 Architect William Delmé-Evans, who was also responsible for designing Tullibardine, Jura and Glenallachie, started off the project here, though apparently after a disagreement, resigned before completion. At the first two distilleries he had stayed on to manage the distilleries in their early years. In 1972 William Lawson Distillers, part of Italian drinks company Martini-Rossi bought the distillery. They were taken over by Bacardi in 1992. Bacardi gained four more distilleries in 1998 when they bought Dewar's from Diageo (Aberfeldy, Aultmore, Craigellachie and Royal Brackla). ​Built with two stills, this was increased to 3 in 1965, and to four in 1967, the fifth still being added much later in 1990. Malt Madness suggests that the difference in the names of distillery and whisky brand may relate to the ownership of the Macduff brand by Diageo - though I'm not aware of them using it. There is also another whisky company MacDuff International, who produce the Islay Mist blend, though that wasn't founded until 1992. Anyway, Glen Deveron, or latterly The Deveron has been used by Bacardi as the whisky brand - independent bottles are Macduff after the distillery name. Macduff continues to contribute the heart to the William Lawson's blend, one of the top 10 in the world. On its website the Distillery claims to be Scotland's most easterly distillery, but this is false - Glen Garioch in Oldmeldrum is well to the east of Macduff - and the new Brewdog Lone Wolf distillery at Ellon is further east. The Banff, Macduff and Turiff Junction Railway opened in 1872, and its Banff Bridge station was just across the road from the site of the distillery, but it played no part in the distillery's history, as the line closed in 1961. The nearest stations are: Huntly (HNT) (21 miles), Keith (KEH) (22) Live Train Times: HNT KEH. 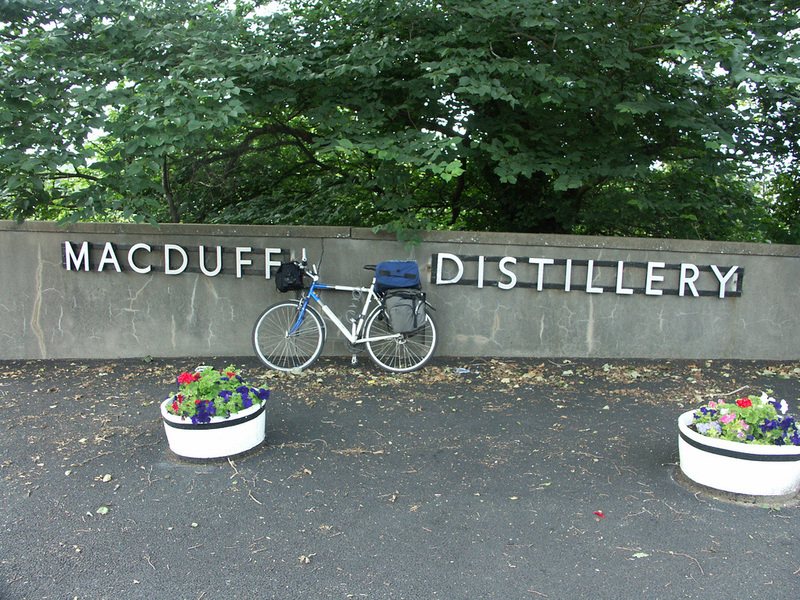 Macduff Distillery is on the A947 Turriff road (which is also Cycle Route 1 at this point) just outside Macduff, not far from the Banff Bridge. Official bottlings of Macduff are bottled as The Deveron - currently they offer a 12yo and 18yo, both at 40%. Independent bottlings of Macduff aren't that common either, the vast majority of Macduff is destined for the William Lawson blend which is popular in France and Russia. Photos on this page were taken by me. Click on photo to enlarge. 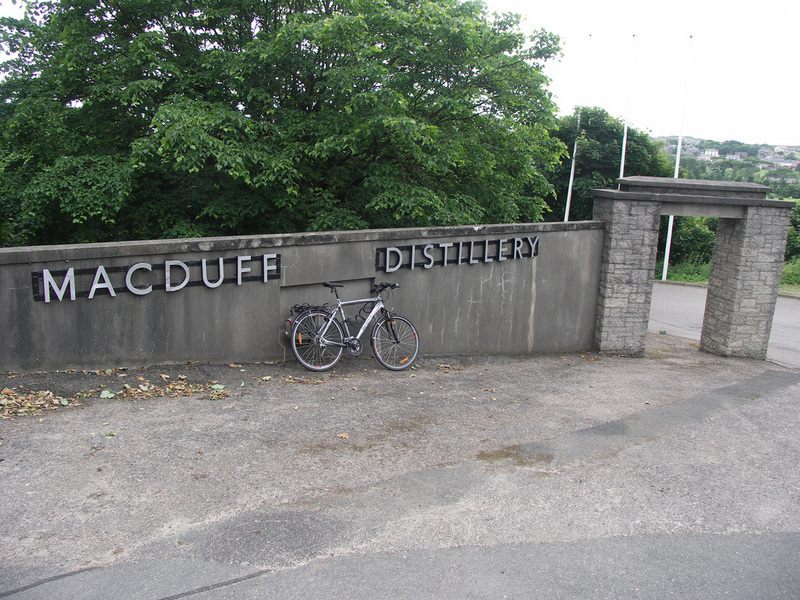 Full size versions of all my photos of Macduff Distillery are available on Flickr.